Is it really drought damage? 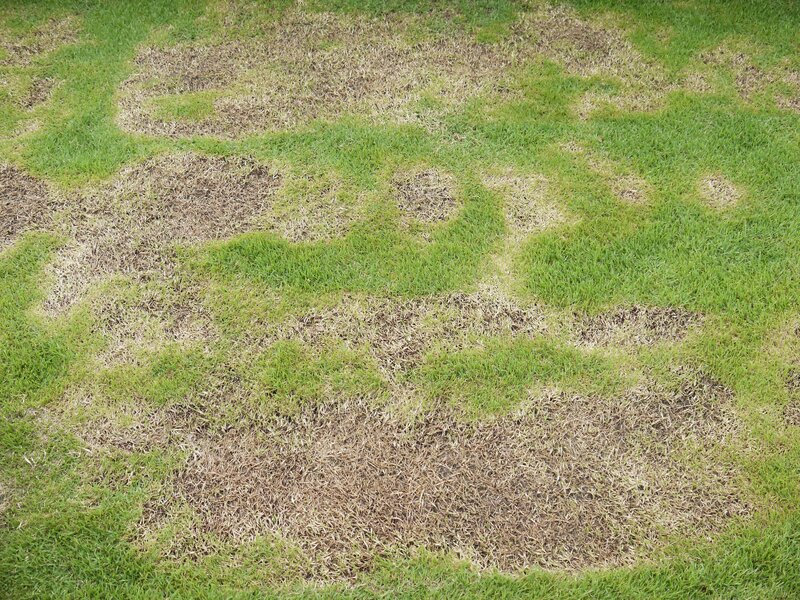 This year, many of us are experiencing dry, brown patches in our lawns. While it is easy to assume that our grass woes are due to the hot and dry weather we’ve had in Southern Ontario the past few weeks, if you are watering and caring for your turf zealously but are still seeing signs of poor lawn health, you may have a Chinch bug problem. 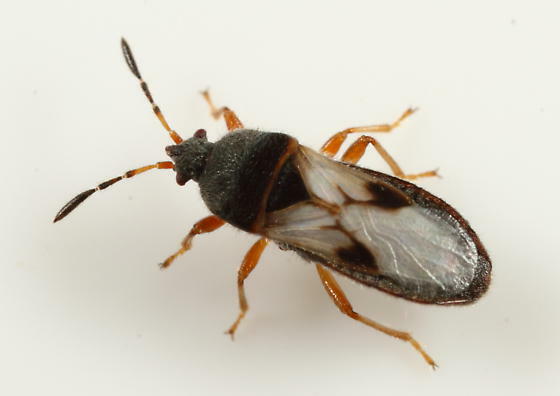 Chinch bugs are a common insect in Ontario. They are small, black winged insects that feed on the sap found inside the blades of grass in your yard. 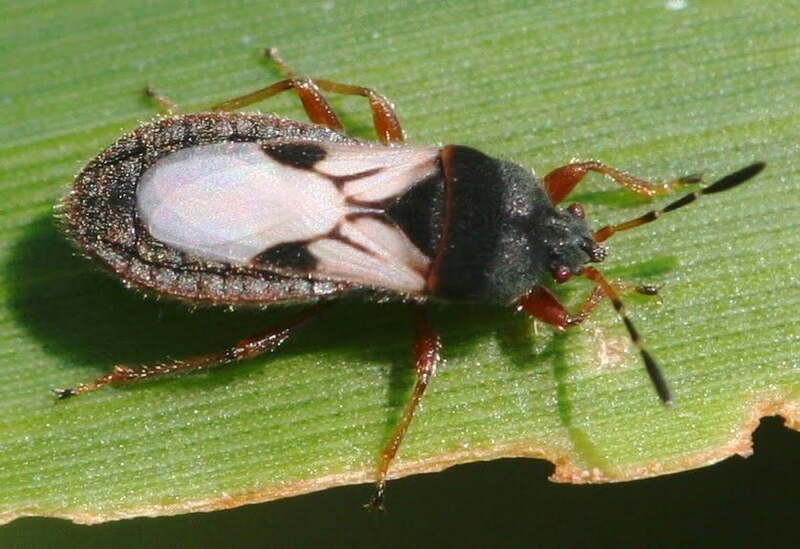 Adult Chinch bugs lay their eggs in lawns beginning in May. They grow into adults by mid-July which is when the damage they cause tends to become visible. The damage is at it’s worst by August. Chinch bugs thrive in hot and dry weather, which makes this Summer the perfect conditions for them to flourish. As previously mentioned, the damaged cause by Chinch bugs draining the sap out of grass blades is visibly very similar to the symptoms of drought. Lawns will appear dry and dead where the Chinch bugs congregate, and when larger areas are affected the lawn may appear to be sunken in. Chinch bugs love the heat, so sunny areas of your lawn may show the most damage. A tip that will help differentiate these symptoms from those of grub damage is that the grass will NOT pull up easily. Are they in my lawn? There aren’t very many different ways to be sure that Chinch bugs are your lawn trouble culprits. The most obvious way to identify the bugs is to get down on your hands and knees and try to spot them on the surface. If they aren’t visible using this method, you can use the can method (pictured above). 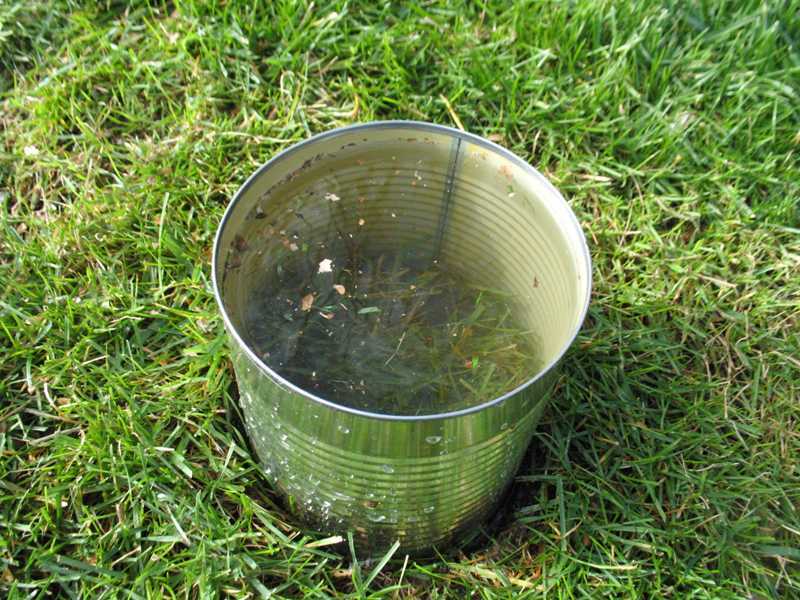 Cut the top and bottom off of a large metal can, then force the remnants of the can partially into the lawn. Next, fill the can with water and watch any Chinch bugs float to the surface. 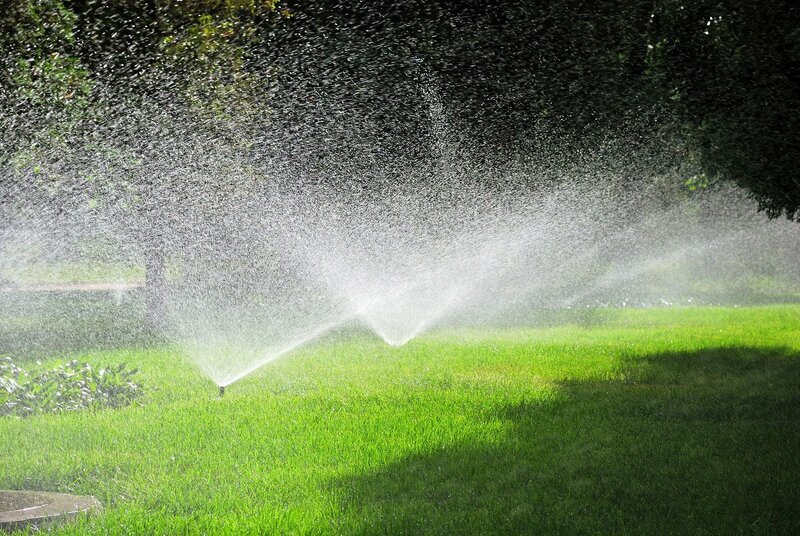 Chinch bugs like grass that is suffering from drought stress, so consistent watering is key when treating an infestation. Some people find that using a shop vac over areas that are damaged and then watering immediately helps to treat the problem faster than watering alone. A final home remedy to treat Chinch bugs is to make a solution of mild liquid soap and water (one teaspoon of soap per quart of water) and spray it over the affected areas. Of course, the most simple solution to Chinch bug damage is to let the experts at Weed-A-Way take care of it for you! Call (905) 858 3100 and say goodbye to Chinch bugs for good! I thought my lawn was the way it was because of the weather so I seeded it. But seeing the pictures, I believe I have a chinch bug problem. Is it to late to apply an now that I have seeded it? Also how much would it cost. This is not for my Mom’s property that you currently look after, but for mine. I love my grass and for years I use to buy products for my lawn which were costly and I never got the results I have today. One day my brother looked at my grass and said ‘you need weed a way’. This is the best decision I made for my grass, it is so beautiful and no weeds, YES! no weds thank God. Thank you weed away I recommended my neighbour to your company.